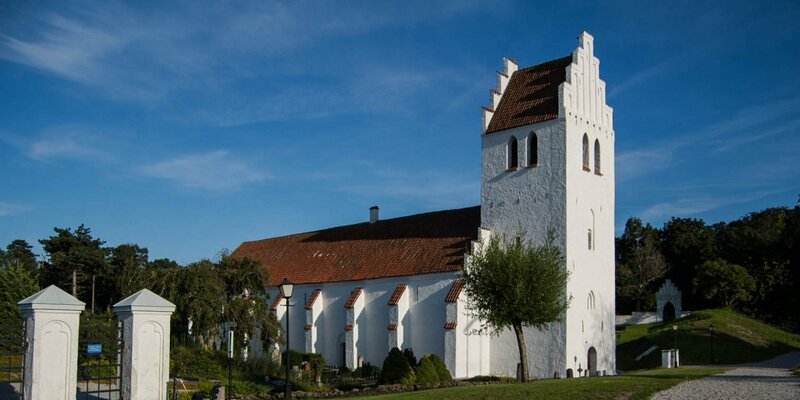 Dating back to the 13th century, S:t Olofs Kyrka is located on the northern outskirts of Skanör, exactly between the old town hall and the remains of the former castle. The appearance of the church seems a bit unusual compared to most other historic churches, because the choir is significantly higher than the nave and the bell tower. The choir is dominated by a great Renaissance altar. It's a canopy altar from 1604 which probably is the work of Daniel Tornisen of Malmö. The pulpit dates back to the 17th century and the baptismal font is from the 12th century. 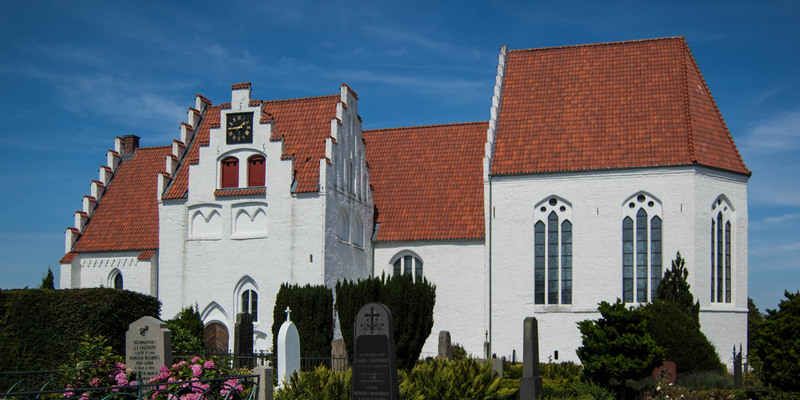 S:t Olofs Kyrka belongs in addition to the churches of Västra Ingelstad, Dalby and the Lund Cathedral to the only four churches in Skåne Län that have a crypt. The floor of the crypt is covered largely with younger dated grave plates. Also very old grave plates are kept, which were previously embedded in the church floor. The oldest of them, you can still decipher, dates back to 1377. 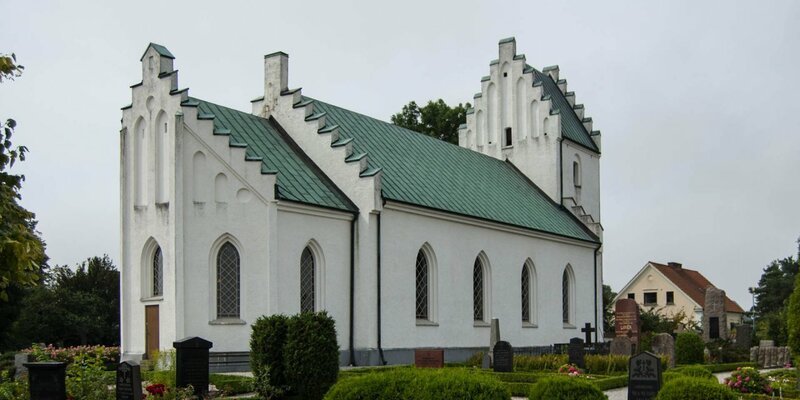 The origin of S:t Olofs Kyrka goes back to the first half of the 13th century and began with the construction of the eastern half of the nave. 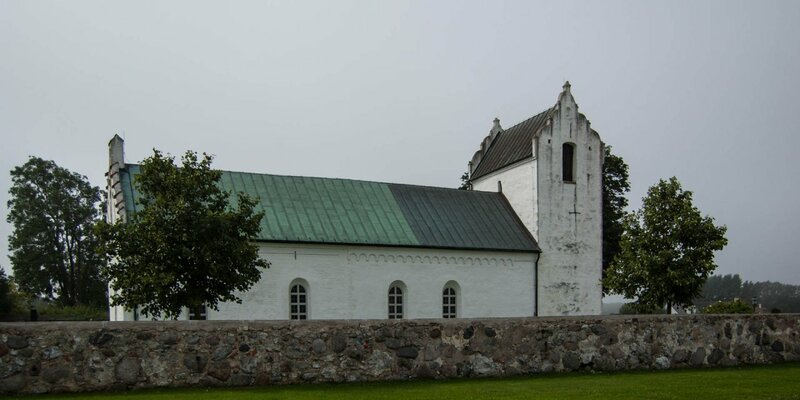 In the 14th century, the church was extended westwards and the massive, but relatively low bell tower was built at the south wall. During the 15th century the old eastern part of the church was demolished and replaced by the present choir with its high vaults and Gothic windows. The crypt was built at the same time.